Volunteers are at the heart of our Rady Children’s family. Please join us in celebrating these amazing people who give the gift of time. 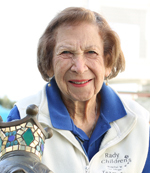 Ellen Siebern has spent the last 25 years giving back to Rady Children’s, volunteering more than 5,500 hours of service. She was recently honored as Rady Children’s 2016 Volunteer of Excellence. "I really enjoy being around the children - just seeing them move about as they do. They are so funny to watch go about their day, but they are also very strong. I do truly love seeing how strong and courageous they are." 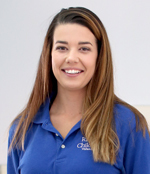 Jaymee Bush was recently honored as Rady Children's College Volunteer of Excellence. "The most important lesson I have learned through volunteer work is that the simplest acts can make the biggest difference in people's lives. From holding a parent's infant while they get coffee and take a break or coloring with a child in their room while their parents are at work - the littlest things are what matter the most." 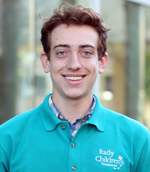 Ben Boyarko was recently honored as Rady Children's Junior Volunteer of Excellence. "The most important lesson that I have learned from the patients and families at Rady Children's is that time with family is the most precious time spent. Family is there to support us through our accomplishments, hopes and dreams and to pick us up through our hardships." 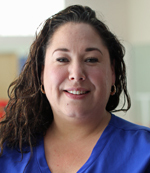 Jamie Dunn, Developmental Services Aide, was recently honored as Rady Children's Liaison of Excellence. "I see these children come to us with a severe injury or illness and being able to be a part of that rehabilitation process, where a lot of times I am there to witness them relearn something major like walking or talking again, makes me very proud."